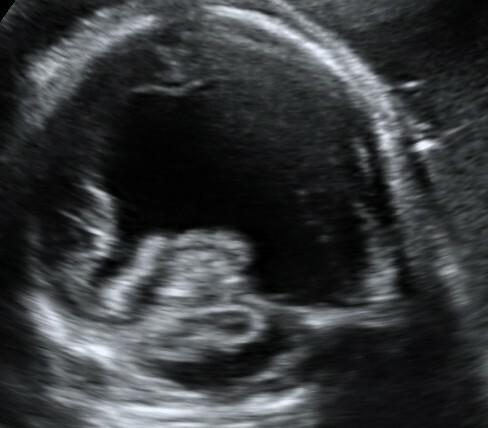 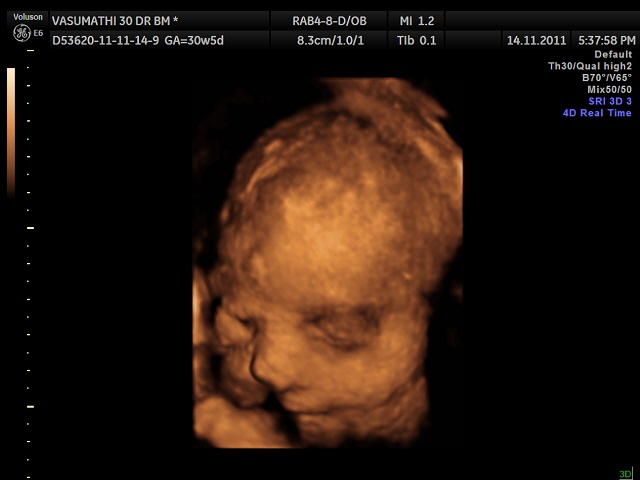 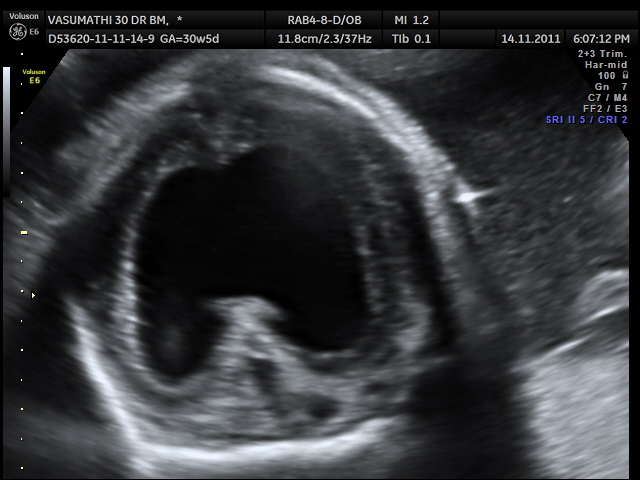 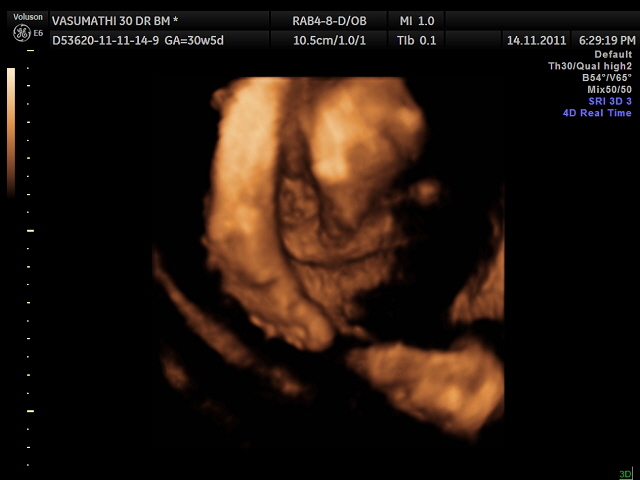 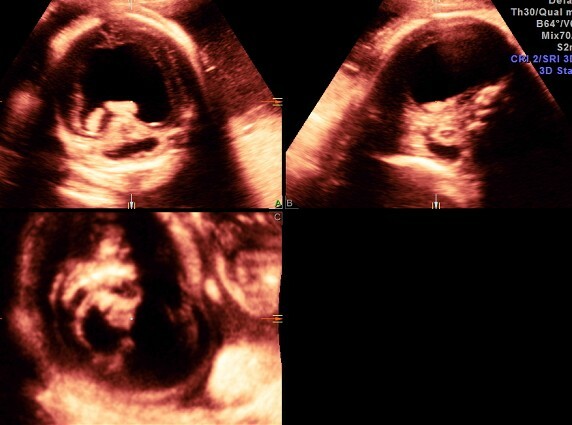 This was a 30 year old lady sent for scan around 30 weeks of gestation. 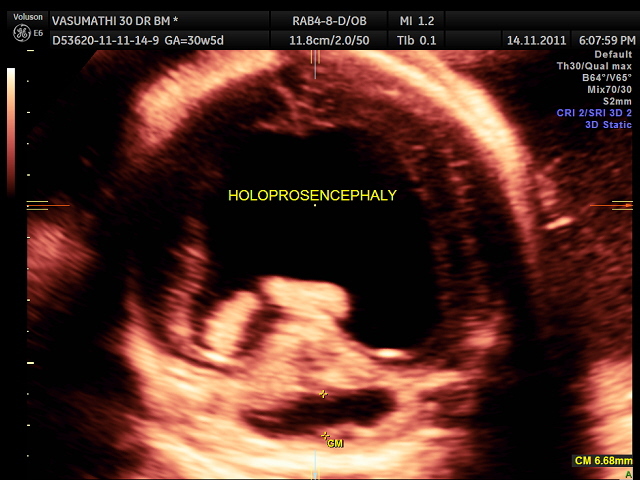 Alobar holoprosencephaly is a sub type of holoprosencephaly, and is the most severe of the classical three sub types, with both semilobar holoprosencephaly and lobar holoprosencephaly being better. 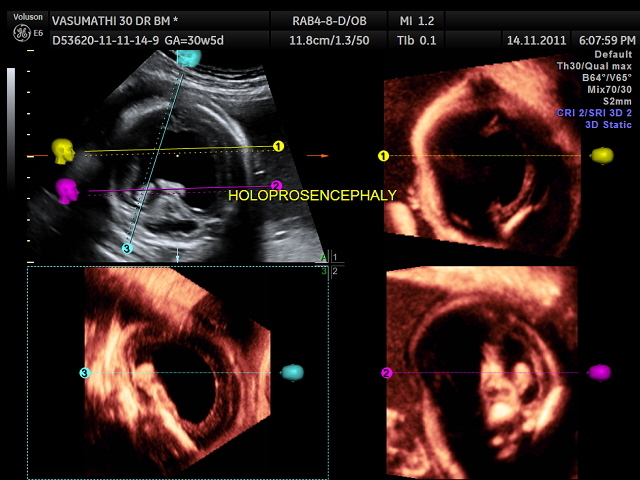 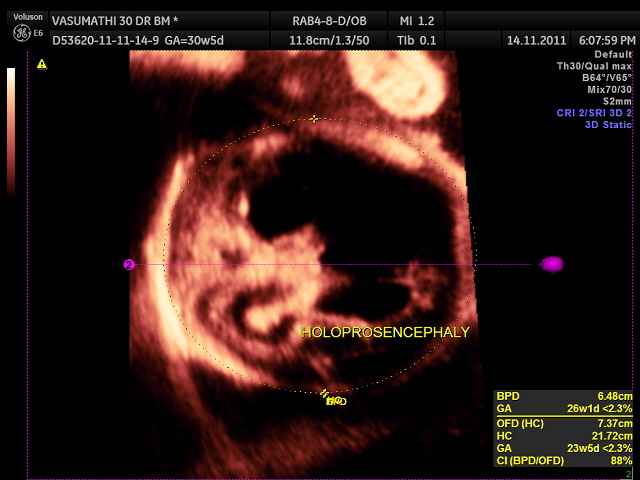 As with all types of holoprosencephaly, it is a rare congenital brain malformation in which there is failure of complete separation of the two hemispheres (which usually occurs around the 4th to 6thweeks) and failure of transverse cleavage into diencephalon and telencephalon.